The Festival of Speed is one of the most celebrated and comprehensive motoring festivals in the entire history of car culture motorsport. It is the only occasion where you will see the greatest competition cars and star drivers from all eras in action: everything from 19th century steam carriages to current Formula One; fabulous racing motorcycles; classic rally cars to 3000bhp dragsters; plus motor sport legends like Moss, Surtees, Fittipaldi and Andretti rubbing shoulders with today's hottest properties such as Lewis Hamilton, Jenson Button, Fernando Alonso and Petter Solberg. 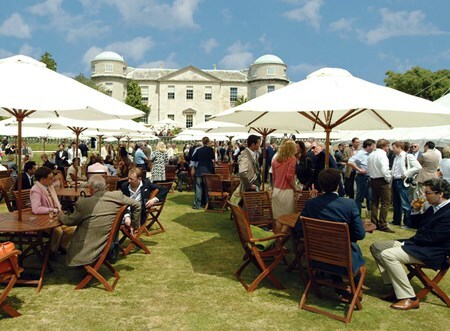 Hospitality Finder is delighted to offer first class hospitality for the Festival of Speed at Goodwood. *Please note that dates are not yet confirmed and are subject to change. The Startline Club is the ultimate enthusiast’s area, set where all the action begins. Grab a seat in your private grandstand and watch as the greatest collection of cars, bikes, riders and drivers in the world prepare for their assault on the Hillclimb. Warming up engines, sizing up the competition and making those all important final tweaks –it’s a unique atmosphere of tension and anticipation. Bookings are available for 2 guests upwards. A private lawn with tall, manicured hedges surrounds an ivory marquee against the unmistakable backdrop of Goodwood House. 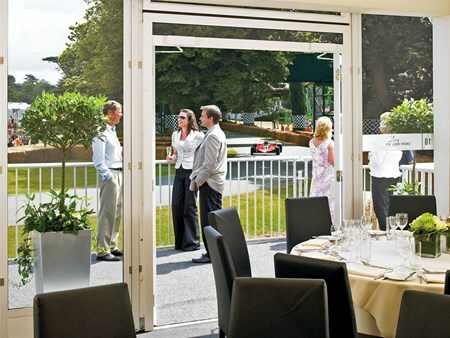 Set back from the track and with trackside grandstands tickets, the Library Lawn offers the perfect escape for your guests in a relaxed, elegant environment – ideal for private or corporate entertaining. Your experience includes a three-course lunch with wine, beers and soft drink plus afternoon tea. Library Lawn offers tables of 2 to 12 and is perfect for private or corporate entertaining. A new addition to the Festival of Speed portfolio, the Clark pavilion will occupy the famous Molecomb Corner a challenging point on the hill climb and an excellent vantage point for watching the action. Featuring a unique interior, its relaxed and stylish atmosphere offers an exclusive location from which to enjoy the Festival of Speed. The new light and airy pavilion will have floor to ceiling glass windows and provide views out to the exclusive garden and the track. Trackside Pavilion offers a classic entertaining experience for parties of 10 guests in a shared pavilion or 30 in a private pavilion. 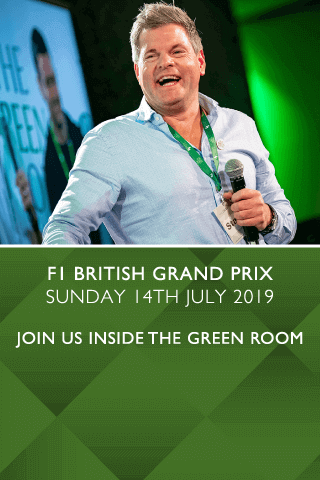 From their balconies, the trackside pavilions offer what is arguably the best viewing location in the park and are a favourite place for the F1 drivers to demonstrate the raw power and spectacle of a modern Grand Prix racing car. 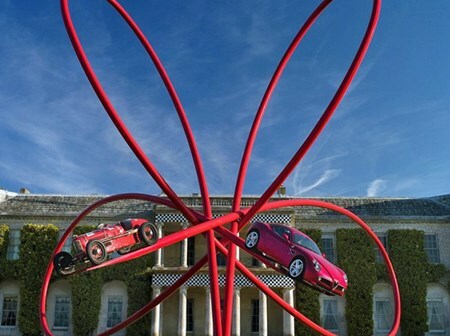 Can't find your favourite Goodwood Festival of Speed - Sunday package?